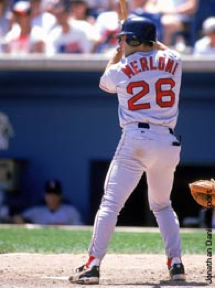 On Saturday I was told that Lou Merloni said the Red Sox organization were educating players how to utilize steroids even though he couldn't remember the year or the Doctor that he said gave this message during my time with the team. Today he acknowledged "It wasn't Dr. (Arthur) Pappas or anyone like that but I don't recall who it was," Merloni said. "We'd had many meetings and talks about how bad steroids were, but this one was different. It was the team acknowledging there were people taking it and they were trying to inform us about not abusing steroids. In no way were they telling us to take steroids or encouraging us to do so." 1)Steroids should not be taken unless prescribed and administered under the care of a licensed physician. 2) If they are taken under any other circumstances other than 1 above,they are a violation of federal law, the drug policy administered to by MLB and the club and there are specific sanctions, fines and counseling programs outlined in writing in the policy which the player or any employee is subject to if detected using. 3)The team also educated the players on potential health risks associated with steroid use and abuse. I know this is a sensitive issue for players and clubs alike and I appreciate Lou clarifying what he said on Saturday in his recent statement. Lou is a friend of mine and a darn hard working player and analyst that I respect........but I think on Saturday he just might have 'misremembered'.